Part of the original architectural design team for this home, Mark Brown, (Solutions Architecture) found the request for remodelling plans especially poignant 20 years later. Still owned by the original homeowners, the renovation aim was a better use of the space, opening up the home and extending the outdoor living area. This was achieved with a range of modern products, which Mark agreed made a huge difference on this renovation, compared to the product range available at the time of the original build. The choice of balustrade was very important for Mark, as they are a focal point in the design. “They are very visual, as they are the first thing you see on the house when you drive up the driveway” Mark explained. 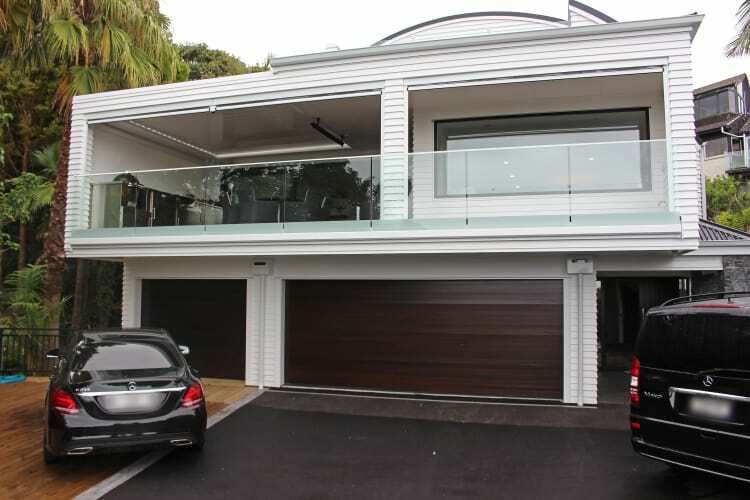 Fitted on a first & second-floor decks, the glass balustrade was vital to the overall modern look and Edgetec Infinity balustrade was chosen for its sleek and linear finish. The Infinity frameless glass balustrade hides the clamp fittings in a fully enclosed system, with matching covers hiding the fixings, for the exact look Mark was looking for. Having successfully worked with HomePlus previously, Mark was pleased to work with them again on this balustrade. Mark commented, “Brendon (HomePlus Exteriors) is a lateral thinker and just makes the process a whole lot easier”. HomePlus suggested adding a frosted glass coating for the bottom 200mm, to hide away any deck edge detail from the installation of the floating waterproof deck which further enhanced the stunning finish. To further enhance the sleek finish Mark requested an Appliance White powder coat colour for the balustrade to match the homes weatherboards. This was an unusual choice for balustrades, which are often finished in dark colours, but the fabulous finished look speaks for itself.